FunctionGraph hosts and computes event-driven functions in a serverless context while ensuring high availability, high scalability, and zero maintenance. All you need to do is write your code and set the conditions. You pay only for what you use and you are not charged when your code is not running. No charge for the first 1 million function invocations each month. 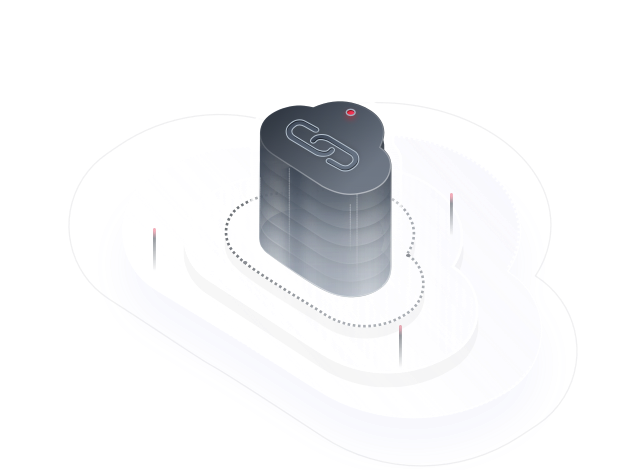 Automatically runs your code and frees you from provisioning and managing servers, allowing you to focus on business innovation. Automatically scales to suit fluctuations in resource demands and ensures that the service remains accessible even during peaks and spikes. Integrates with multiple cloud services (such as SMN, OBS, DIS, and DMS) in an event-based triggering mechanism to meet service requirements. Billed based on the number of requests, execution duration, and number of state transitions (precise down to the 100 ms range). Uploading files from a client to OBS triggers functions that create image thumbnails in real time, convert video formats, aggregate and filter data files, or implement other file operations. Files are uploaded to OBS to trigger file processing functions. FunctionGraph automatically scales up resources to run more function instances as the number of requests increases. You will be billed only for resources used to process files as needed (you are not billed for idle resources during lows in demand). Combine FunctionGraph with DIS to process real-time streaming data for such purposes as data cleansing, social media analysis, and IoT device data telemetry and metering. Data is collected by means of DIS streams to trigger data processing functions. You will be billed only for resources used to process files (you are not billed for idle resources during lows in demand). Interconnect FunctionGraph with other HUAWEI CLOUD services or your virtual machines to quickly build highly available and scalable web & mobile backends. FunctionGraph ensures high reliability of website data using OBS and CloudTable, and high-availability of website logic using API Gateway. Integrate FunctionGraph with HUAWEI CLOUD EI services for text recognition and illicit image identification. FunctionGraph works with EI services for text recognition and content moderation to suit a wide range of scenarios – make adjustments whenever you need as demands change. You only need to apply for related services and write service code without having to provision or manage servers. You will be billed only for function execution and used EI services without having to pay for idle resources when service demands are low. Web-based console for managing functions. Support for multiple runtimes and function memory sizes ranging from 128 MB to 1.5 GB. For functions in runtimes such as Python and Node.js, you can edit code inline with syntax highlighting. You can zip all dependencies and code of a function and upload the package to FunctionGraph. For a function package larger than the threshold, you can upload it to OBS and specify the URL of the package in your function. FunctionGraph automatically downloads the function code and dependencies from OBS. FunctionGraph supports functions in various runtimes, such as Python, Node.js, Java, and Go. The memory size of a function ranges from 128 MB to 1.5 GB to store instances. Automatically scales up/down function instances based on the number of requests. Automatically schedules new function instances to process requests in case of instance errors. FunctionGraph automatically scales up/down resources based on the number of service requests during peaks and spikes. The load balancing function distributes requests to function instances to keep processing performance high. If an instance becomes faulty, FunctionGraph starts another instance to process new requests and releases resources from the unhealthy instance. Support for multiple types of triggers to run a workflow and transit to different states. Collects and displays function metrics and run logs, providing you a full view of status of functions in your mix. OBS: Functions are triggered when operations, such as uploading, copying, and deleting objects, are performed in a bucket. For example, a function is invoked to compress and transform the images or videos uploaded to a specified bucket. SMN: Functions are triggered to process messages sent to a specified SMN topic. DIS: Functions are triggered to process the data uploaded to a specified DIS stream. DMS: Functions are triggered to process messages sent to a specified DMS queue. APIG: Functions are invoked on a client using custom REST APIs. Timer: Functions are triggered according to preset rules. LTS: Functions are triggered to analyze and process subscribed logs. CTS: Functions are triggered to analyze and process subscribed operation records. Manual invocation: FunctionGraph allows you to manually invoke a function using an API or the console for debugging purposes. FunctionGraph displays key metrics of functions, including invocations, errors, throttles, and duration. FunctionGraph records the run logs of functions, making it easy to debug and audit functions through log query.